We are all striving for spring or maybe summer and beach seasons, and adding such touches to your home decor is a great way to feel the sunshine inside. 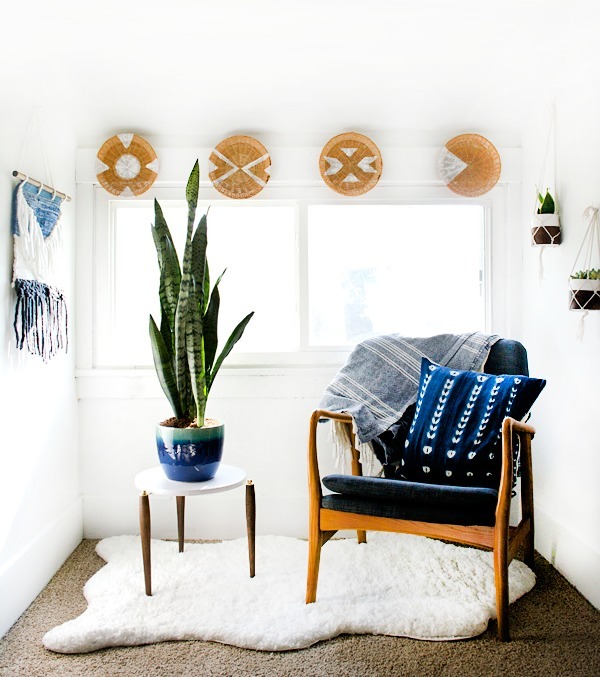 Rattan and wicker add texture and dimension and bring outdoors indoors at once, they are ideal for boho, beach, mid-century modern interiors. 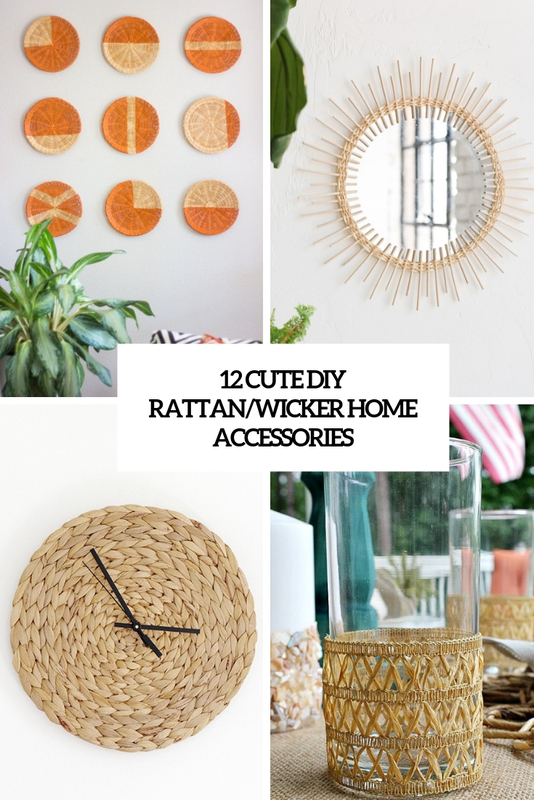 We’ve already shared some wicker and rattan lampshades you can DIY, and now we’d like to share some accessories for your home. These are planters, mirrors, candle holders, decorative baskets and even glass cozies – get inspired! Sunburst mirrors are definitely having a moment and if you happen to love rattan – furniture, accessories, you name it! There are lots of beautiful rattan mirrors out on the market right now, including lots of vintage beauties! 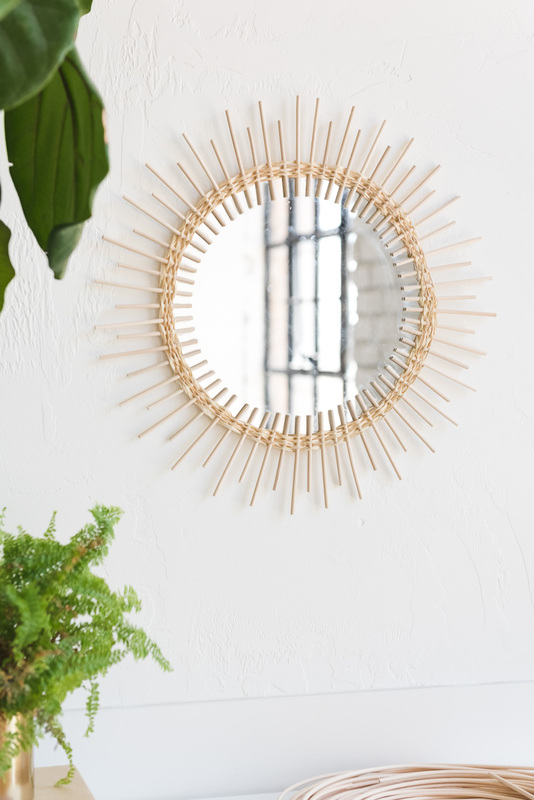 They can cost a pretty penny though, so better make this DIY rattan sunburst mirror for only $25! Read the tutorial and make such a mirror. Here are some planters that will bring Caribbean roots and patio weather to your space as they are made of rattan! 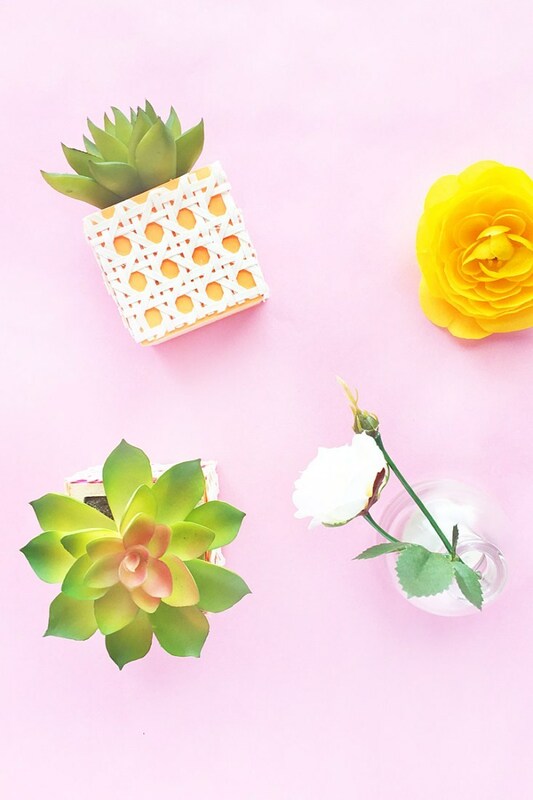 These DIY faux succulent rattan planters will sit prettily on your desk or shelves with a pop of color and texture. Want to make your own? Read on for the tutorial! 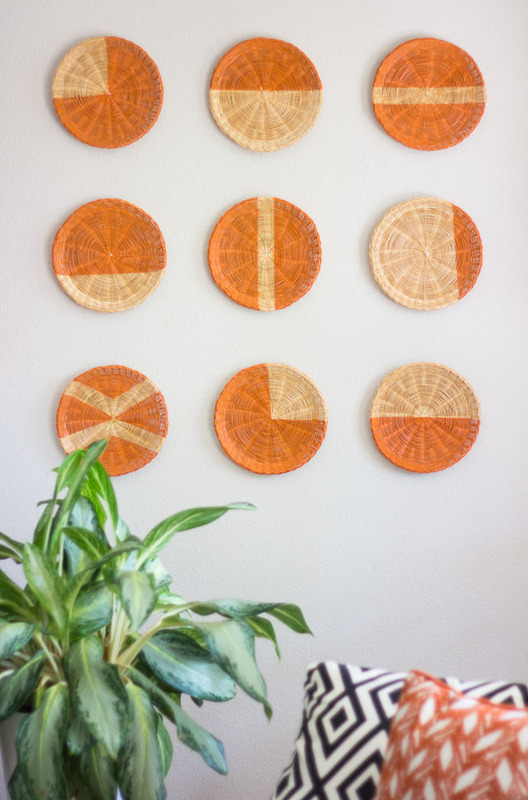 Rattan plate holders can be turned into cool decorative plates with some paint. Get some painter’s tape and some paints and go! If you’re making a symmetrical pattern, lift up your tape and use it again on the other side. Read the tutorial to find out how to make such patterns. 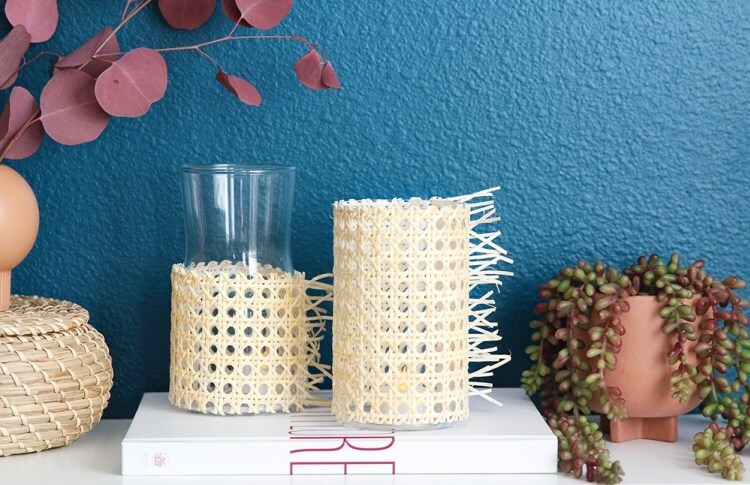 Did you ever use those woven rattan paper plate holders back in the day? I bet you still have a stack in the back of a kitchen cabinet somewhere. Repurpose them! The plates can be turned wall art and add a nice dose of color and texture to a previously boring corner. This project is about as inexpensive as it gets, especially if you already have the supplies on hand. This wall clock is a nice idea to add a boho feel to your space! You can take a ready clock you like or make it yourself of a wooden circle and a clock mechanism. 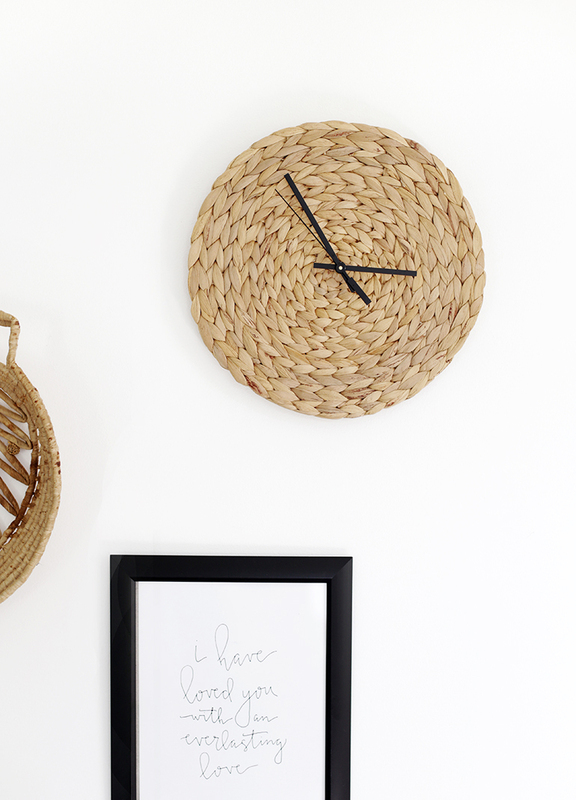 The idea is about covering a wall clock with rattan – it’s a very easy project that won’t take much time. Read the tutorial and craft the piece. If you love bringing earthy elements into your home, this tutorial is for you. This is a project that you can make in less than 30 minutes and needs just a few supplies. 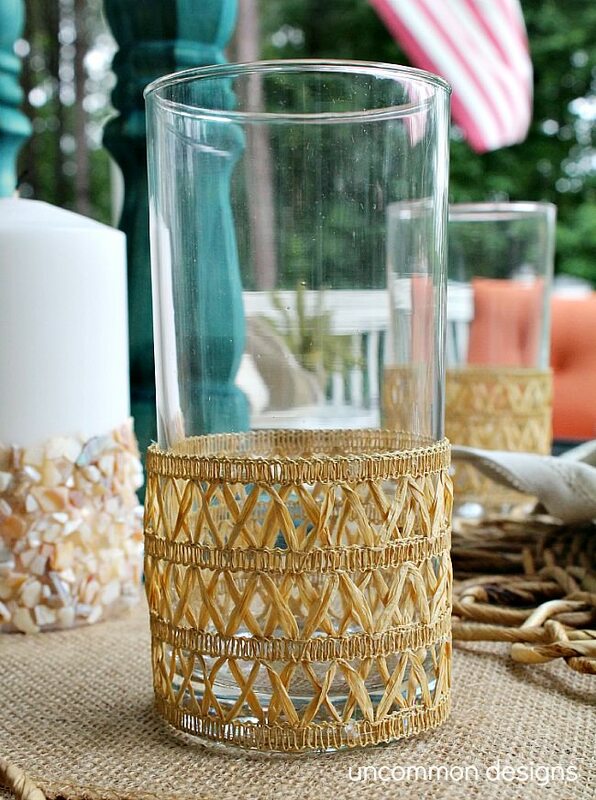 Grab some simple glass candle holders and cover them with rattan – that’s not difficult at all. Enjoy! 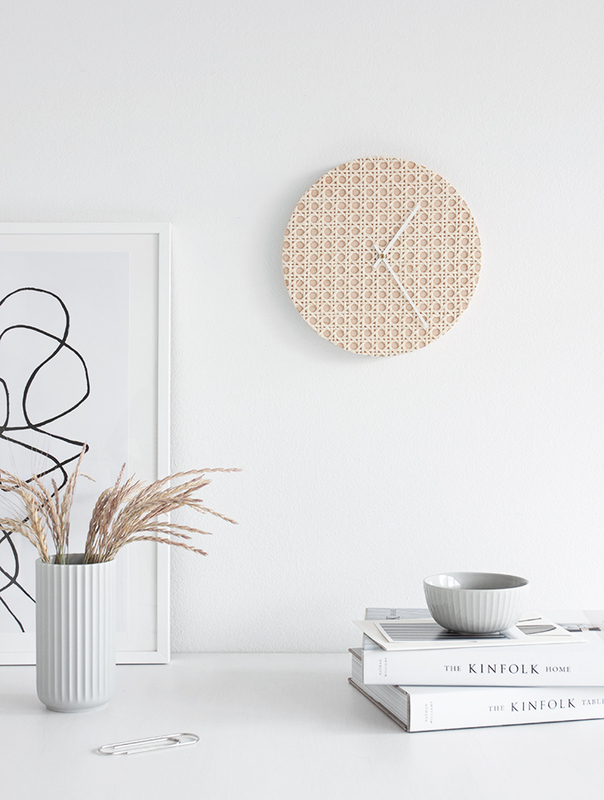 If you happen to have some extra placemats lying around or can steal one from your grandma – you might be able to turn it into this minimal wall clock! 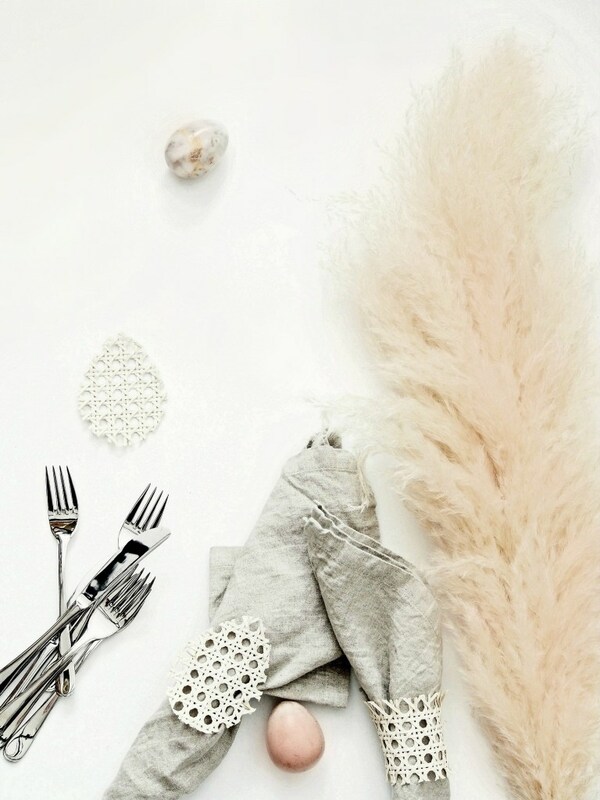 Add some warm, natural accents to your minimalist home and warm it up easily. Take a rattan placemat and turn it into a cool clock for your home, it’s easy and cool! Read the project and get inspired! You don’t have to go above and beyond for an Easter table – there are many simple decorations to make. This tutorial will tell you how to make cool rattan napkin rings and egg holders, so that your Easter table looked chic yet casual. No matter the occasion, whether it be a fancy dinner party or a weeknight meal with your boo, you can bring more nature to your table by making your own rattan napkin rings in a snap. 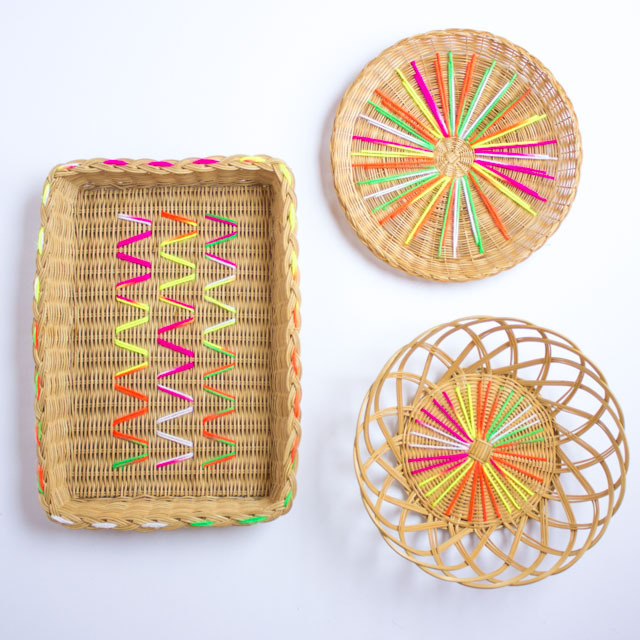 These baskets remind me of a modern take on a summer camp craft. It’s a simple project that anyone can do but the addition of the yarn takes these plain-jane baskets and even old-school paper plate holders to a whole new level! You probably already have a few of these baskets lying around your house, but if not, you can find tons of them in stores. All it takes is a little bit of yarn and some creativity and you have a stylish new piece of home decor. Wanna add an edgy beach feel to your space? These are so simple and turned out wonderful and super inexpensive. Why have a plain glass when you can dress it up in a few easy steps? Such a simple addition to the glass but makes quite an impact! Plus it prevents the glass from being slippery, which is very common here in the south due to the glasses sweating outside in the heat. 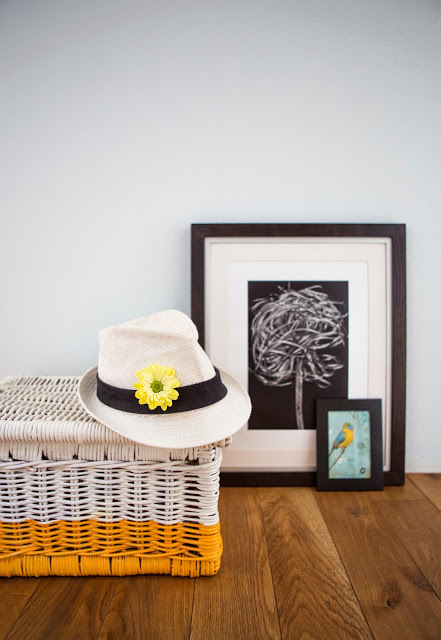 How to turn a simple wicker basket into a stylish planter? The craft is pretty easy: you just paint or spray paint the piece and then put a large polythene inside. Keep reading the tutorial in the source and make your own planter – this is a fast and easy craft. 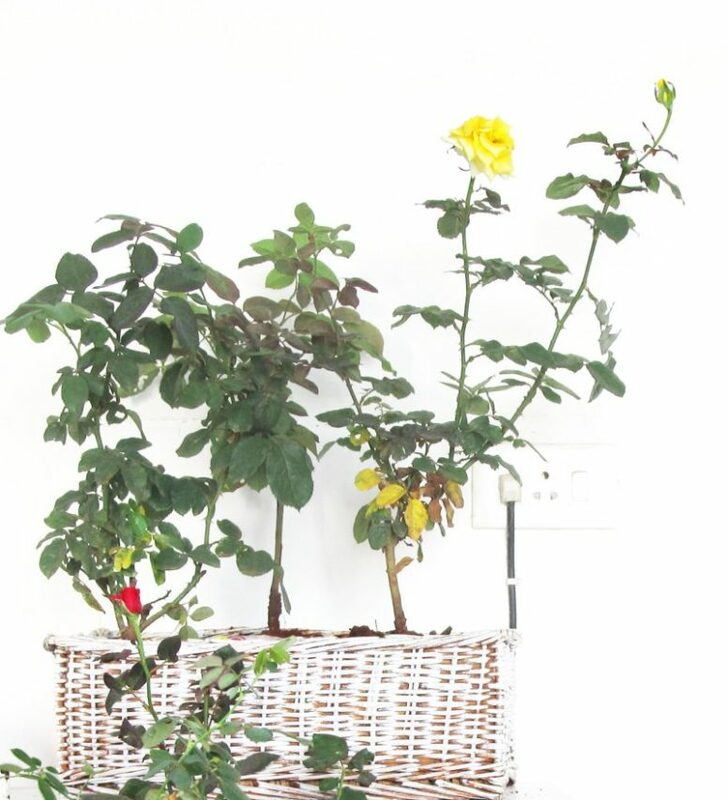 If you have an old basket that you want to refresh, here’s a simple craft to do that! This tutorial is about spray painting the basket using some washi tape – it’s a pretty easy way to add a touch of color to the basket. Now you may use it for storing of various stuff or just for home decor. Get inspired!